Sunday 19th June saw me take part in my second London to Brighton. 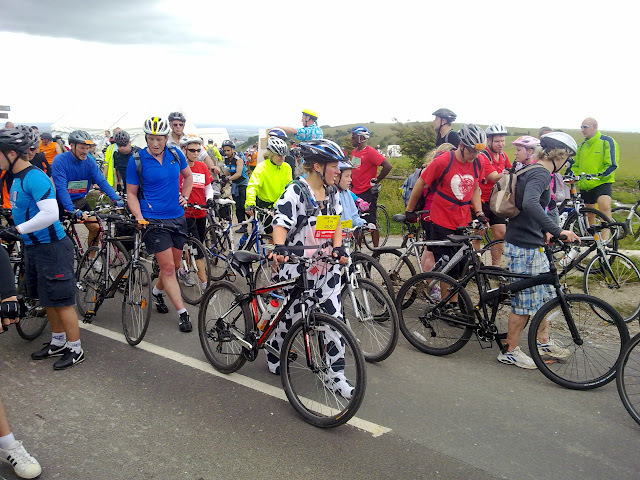 When I first got a bike in March 2010 I'd told my colleagues that my first target was the 2011 London to Brighton. 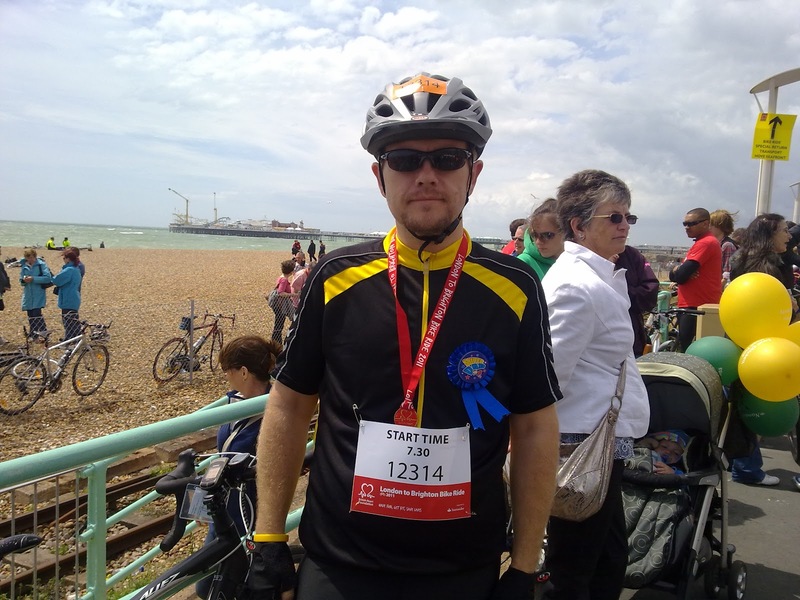 Having progressed quicker than expected and due to a stroke of luck I was able to take part in the 2010 London to Brighton. Last year the ride was easier than expected, although the hills were tough. Most of which were too congested to climb fully. This year, starting 30 minutes earlier, the traffic was a little lighter. Each of the climbs were slow and congested but I managed to climb all of them non-stop. Even Ditchling Beacon. The Beacon was only difficult at times due to the fact I couldn't ride at my own pace due to traffic. I sprinted to the finish from the top of the Beacon and was the first to finish in our team. My wife and kids came to meet me and it was a great father's day present. I was tempted to ride the 25 miles home but decided I'd wait for the others to finish and we'd all go home in the car together.